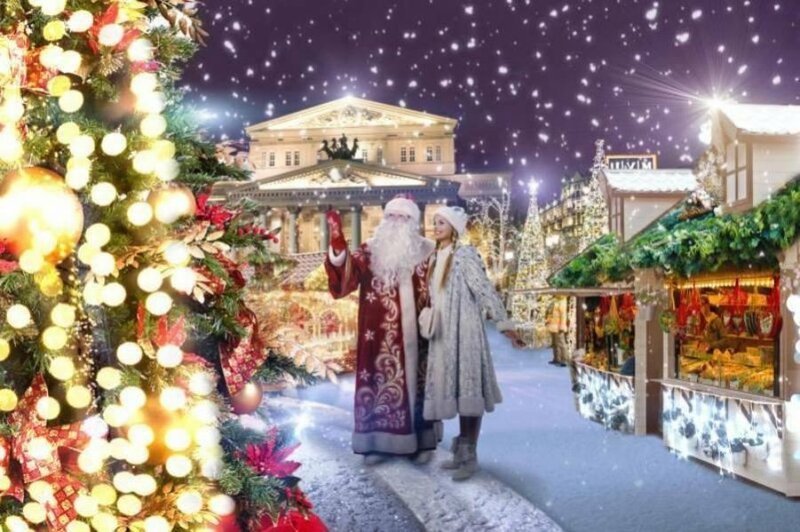 The government is expecting over 10 millions visitors to the Christmas Festival, which starts on 18th of December in Moscow. They estimate that the Festival will attract not only local residents, but also people from abroad and from other Russian regions. Last year, 8 million people have visited Festival, among them were those who arrived on a tour and had "Journey to Christmas" as a part of their itinerary. The Festival will last until the end of the New Year holidays, and during these days, hotels are expected to have an occupancy rate of about 90%. According to the statistics, during the past months of this year, Russia has received over 2.5 million tourists from abroad, which is 13% more than last year. Majority of guests are visiting Moscow and St. Petersburg during their trip. The popularity of Moscow's province is also growing, and this area is becoming a great tourism attraction. The analysis of the Hotel bookings has showed that the Moscow province is about to receive over 3 million visitors during the New Year period. Already in November, the 90% of hotels, guesthouses and resorts were booked for the New Year time. By the end of December, the majority of hotels are expected to be fully booked. If the forecast is correct, the Moscow's province might be able to set a record by the number of arrivals in 2015.